On arrival at MAHIKI MAYFAIR, Reservation is booked under "MICHELLES EVENTS/ MEETUP" (Your name must be on the list or you will refused entry) The DOOR HOST at the will check your name off the list and give you token for Welcome Drink and direct you downstairs as we have booked the venue exclusively until 10pm when the venues opens to the public) Welcome Drink is only served between 6.30pm - 8pm, no later! The event is fully hosted so that, whether you come on your own or with friends, Michelle (Hosts) will make sure you settle in nicely and pleasantly. There will be a separate "Ladies Only Table" so that ladies can get together and mingle/ chat with each other. Last entry is 9.30pm, once you are inside the venue, you can remain at no extra cost for the rest of the night. Welcome to Paradise! The first part of this event, we will have a reserved area we can mix and mingle, so that everybody can relax and feel comfortable. You will be welcomed by your host and introduced to other members for a great night of socializing, party and fun. 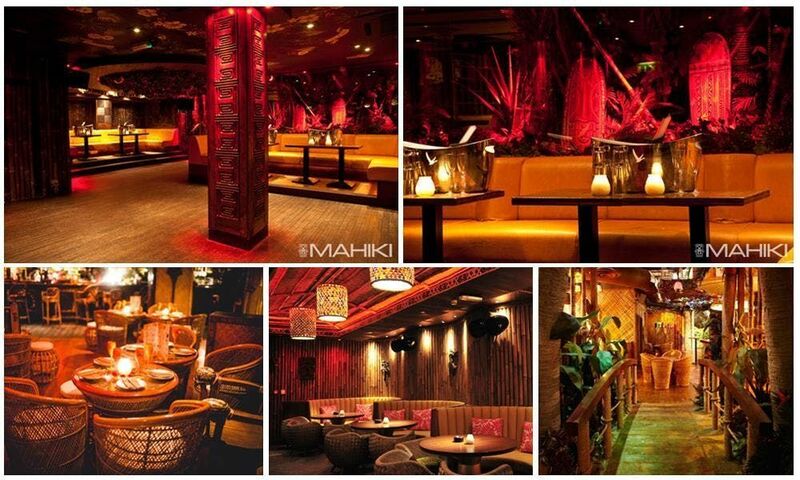 Our event starts from 7pm onwards!This will take place at the famous Mahiki club in Mayfair. Mahiki is one of the top clubs in London and is well known for its exotic interior and tropical cocktails. Mahiki is the ultimate party destination. With its Tiki décor, delicious fresh fruit cocktails and tropical flowers adorning every Honolulu Honey hair, a night out is set to be unique in every respect. A night out at Mahiki is always fun, and the venue prides itself on the attention to exotic cocktails and a party vibe through the evening. Arrive for entry before 9.30pm if you arrive any later you will be turned away and refused entry *****Dress code: Smart Dress ONLY!! Closest tube station is Green Park, opposite Ritz Hotel.... Get ready for a great night out!